The Prince George’s County internship program culminated with the four teams presenting their apps built on Amazon Alexa, Amazon Lex, Echo Dot, and Echo Show. The applications addressed challenges faced by some public school students, such as reading impairments and language barriers. Challenge: Within grades K-5, some students struggle with inadequate comprehension of fundamental math skills. Solution: Using the Amazon Echo Show, this team created an interactive game that helps students learn the fundamentals of math. By creating skills using the Amazon Echo Dot, students are able to access ad complete assignments, and become motivated to study. They also created a teacher dashboard, which allows teachers to track the real-time progress of their students. Challenge: On average, school counselors deal with 350-420 students. On the student side, some students do not know how to apply to colleges, scholarships, or financial aid. Solution: T Cubed created two skills on the Amazon Echo Dot and Amazon Echo Show that help students explore careers and colleges, and guide them through all aspects of the college application process. Challenge: English to Speakers of Other Languages (ESOL) students often have trouble learning the pre-requisites necessary to pass the class. Solution: This team created four innovative games to help ESOL students better obtain information and language proficiency to pass the test. Challenge: With many different languages spoken by students, there is a need to alleviate the language barrier in the classroom. Solution: Using Amazon Alexa, this team created a flash card-style game to test the basic English proficiency of ESOL students. This application promotes a more interactive experience. AWS worked with the teams throughout the five-week internship, providing onsite technical support, training, AWS Developer accounts, and funding. Through the program, mentors and interns used AWS Educate online education accounts to learn Alexa programming and use of AWS cloud services. “By the end of five weeks, the student interns had successfully created functioning apps for Amazon Alexa, Dot, and Show, taking full advantage of the AWS Cloud to quickly learn, develop, and deploy new applications. 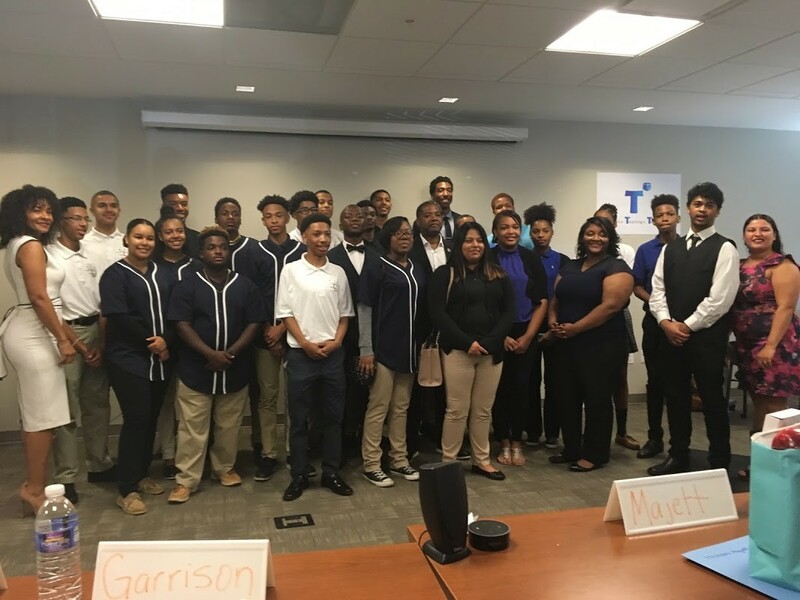 The program met its goal to prepare Prince George’s County students as the next generation of the IT workforce,” said Sandra Longs Hasty, Program Director, Prince George’s County. Congratulations to all participating interns!